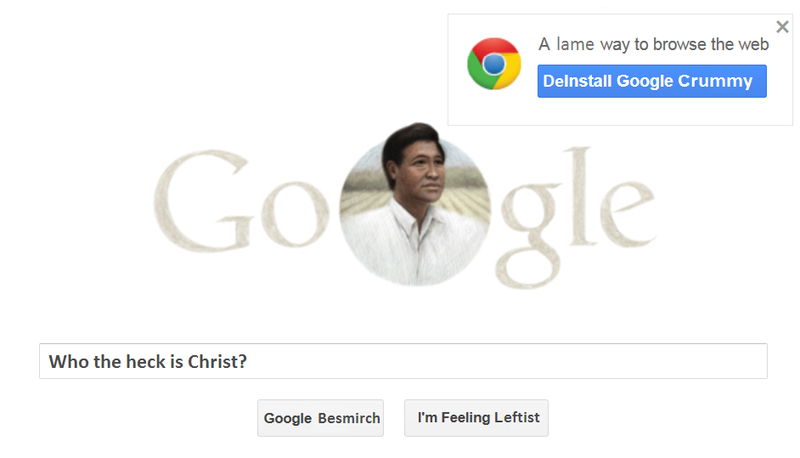 By now we’ve all seen the image on the Google Search bar for Easter 2013. No doubt it was marching orders from our oft twisted White House after naming the day of Christ’s resurrection “Caesar Chavez Day” in honor of the domestic terrorist criminal. So on Sunday I posted the following Google search parody on twitter. It’s a little late getting posted here but enjoy.